Doctors recommend them. Athletes are seen eating them before or after competition. But are bananas fattening? You would think that these foods are healthy. Though there is some talk that that bananas will make you gain weight. 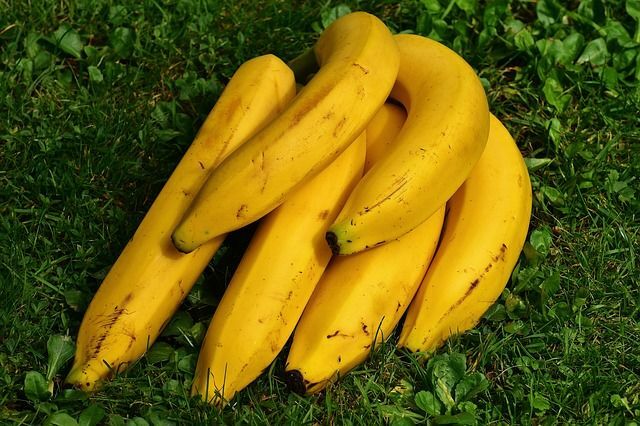 To explore whether or not bananas can make you fat, we explain what’s in these yellow fruits. And how they may or may not cause you to gain some weight. Bananas are healthy snacks. Even though tons of people believe that bananas are fattening, it is a myth. The myth about bananas being fattening may come from the ingredients found in this fruit. But more likely, it is being mixed with other ingredients in a recipe that will make them fattening. By themselves, bananas are not fattening at all. That said however, just as with any source of food, you should only eat them in moderation. No food is good for you if you overdo it by eating too much. Limit your daily banana intake to a few a day at the most. Your body needs a variety of different food to stay healthy and regulated. The water, sugar, and potassium content in bananas do not make bananas fattening. Fruit contains water. And while water is known to bloat an individual, bananas actually contain less water than many other fruits. If you regularly exercise, your body burns water when sweating. The water content is nothing to worry about. Meanwhile, the sugar found in bananas is natural. It is not the same as the sugar we are told to avoid in candy, cakes. Or, just simply any food containing table sugar. The naturally occurring sugar found in bananas is safe for you and non- fattening. As always, don’t overdo it. Too much isn’t good either. After all, one banana contains 105 calories according to the USDA Nutrition Database. So if you consume 10 of them a day, then you’re adding over 1,000 calories. If you do it that way. Then you’ll gain weight. However, chances are, you aren’t going to be eating that much bananas on a regular basis. You’ll probably start hating it after a few days. The potassium in bananas is far less than the daily limit for potassium intake. Our bodies need potassium to properly function. 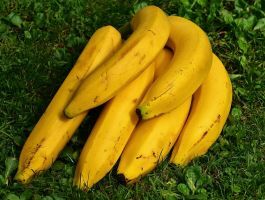 You would have to eat between 7 and 12 bananas a day, depending on their size, to exceed the Food and Drug Administration’s recommended daily allowance of potassium. Again, the chances of that happening on a long term basis isn’t probable. Bananas are a power-packed source of energy that many experts use as a snack during their daily exercise regimen. If people say don’t eat bananas, they will cause you to gain weight. Remember, it is nothing more than a myth. It is true that bananas are a food that is packed full of carbohydrates. However, when you are exercising, your body burns carbohydrates as energy. This is one of the reasons why bananas makes for a great snack during your work out. Simply put, these long yellow fruits are a great energy source that will keep you going strong and hard while training or working out. The only way you will gain weight when eating bananas, is if you eat a substantial amount without exercising. Yet, this is true for any food. If you eat any food excessively and don’t get up and work off all that stored up energy and calories, your body stores it all as fat. Plain and simple. For an instant energy boost, eat bananas. Another great thing about bananas is the fiber content. We know fiber is good for your body. It keeps your digestive system properly working and regulates bowel movements. Another surprising benefit of fiber is that it has been proved to lower the risk of heart disease. Bananas are known to have a high fiber content. Each medium sized banana has around 3.1 grams of fiber. This accounts for 12% of our daily recommended fiber intake. The fiber in foods, specifically bananas keep you feeling full. This means that you are less likely to gorge on junk and fattening foods throughout the day. 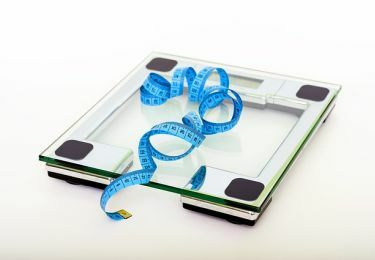 Eating less food leads to reduced body weight, which is the exact opposite of getting fat. Bananas are considered among the healthiest foods in the world for good reason. They contain a lot of nutrients that are beneficial to our bodies. They have no cholesterol, almost no fat, are a good source of fiber and little sodium. They also contain a lot of vitamins and minerals ranging from vitamin C to potassium and magnesium. 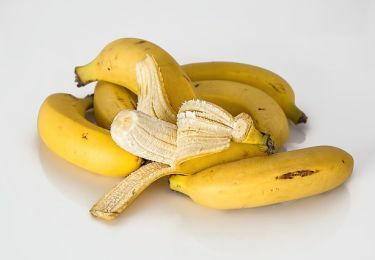 Unless you eat an entire bunch of bananas each day on a regular basis, you have nothing to fear from getting fat or gaining weight from this fruit. You’re better off avoiding junk food and drinks loaded with sugar. Fitness, Food & Nutrition, General Health, Weight Loss. permalink. Can a Pregnant Woman Drink Wine?